If you’re reading this then there’s a good chance that you take great pride in your home. You take great time and effort to maintain it because you want to make sure that it’s always looking beautiful, functioning optimally and of course safe for you and your family. When you first move in this may be as simple as making sure that your space is clean and well decorated, but over time it may well extend to peeking behind the curtain and tinkering with what’s going on beneath the surface. This may well include wiring repairs behind the wall cavities or maybe tinkering with some pipes beneath the bathroom floor. This is all well and good, so long as you know what you’re doing. And hey, let’s face it, in the digital age that isn’t all that difficult. There are enough YouTube tutorials to turn even the most shy among us into a DIY guru. Buoyed by the wealth of knowledge that the internet provides us, it’s easy to imagine that we can take on any repair our homes can throw at us. We must, however remember that fools rush in where angels fear to tread, and in our fervor we may forget just how hazardous our homes can be. There are some household repairs that may not seem beyond your capability but can prove seriously dangerous, making them much better left to a trained professional. If your home or yard requires any of the following repairs, they’d be much better left to the pros. Capable DIYers may well be comfortable tinkering with their existing plumbing infrastructure. Changing a washer, a damaged pipe or a manifold, is a piece of cake. Replacing showerheads and faucets is pretty straightforward. Even installing a new toilet is no biggie to a seasoned DIY veteran. There are, however when it comes to major plumbing modifications, those are best left to a certified plumber. Extending hot water lines, for example, typically involves working with copper pipes. This means you need to be proficient with the use of a blowtorch. Even experienced welders may leave tiny gaps in joints that may be invisible to the naked eye but will let water through resulting in extensive leakage that could mean extremely expensive repairs at a later date. Walls are multifaceted. Some are designed as partitions to protect our privacy, while some are crucial to the structural integrity of your home. It’s important to know which is which, otherwise you could bring floors above crashing down on your head. Usually at least two exterior walls will be load bearing walls, although depending on your building’s structure, an internal wall may be load bearing. If you live in a multi-story building then load bearing walls are stacked one directly on top of the other to provide optimum transfer of weight throughout the building. Compromising this wall could have disastrous effects on you and anyone living above you. Even if a wall isn’t load bearing, it could contain gas pipes, electrical wiring or water pipes that could have disastrous consequences if destroyed. Your best bet is pretty much always to play it safe and call the professionals. Electricity is our friend. We rely on it to power almost everything in our homes and as we get increasingly reliant on it, we can forget how quickly it can turn on us. 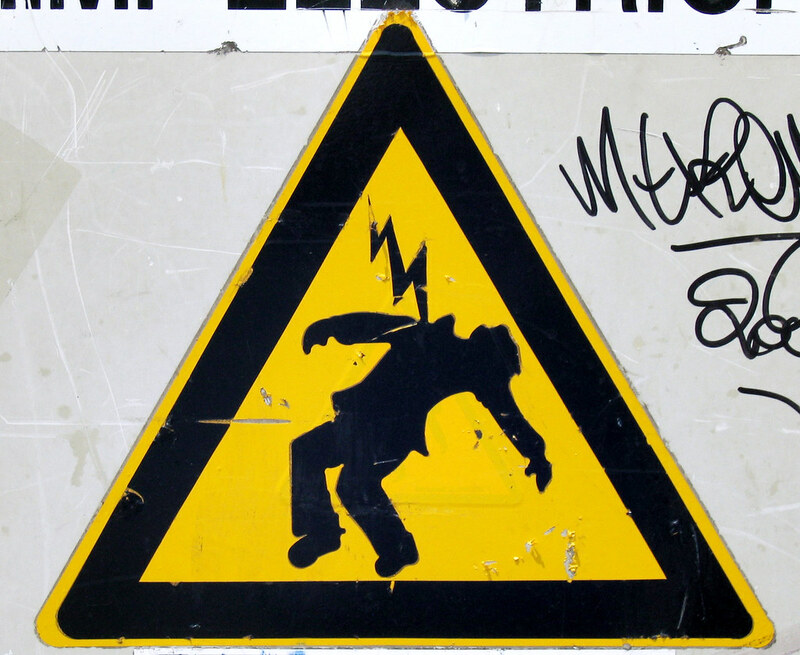 Electricity kills! So, when it comes to electrical repairs, discretion is the better part of valor. If you’re in any doubt when it comes to anything electrical; don’t risk it, call a home electrician. Minor repairs such as changing a light switch or fixture are generally okay so long as you’re sure to turn off your home’s power at the breaker panel. Adding to or replacing circuits, however is far more complicated and presents extremely serious risks including danger of fire and electrocution. The cardinal sin, though is doing anything with your circuit breaker panel (other than flipping tripped circuit switches). The breaker panel (or service panel) is the heart of your home’s electrical system. It distributes an enormous amount of power from outside throughout your home. Just as you (hopefully) wouldn’t perform open heart surgery on yourself, don’t unscrew or otherwise tamper with your breaker panel. The service lugs (terminals securing the service cables from outside) are always energized and touching them could be fatal, especially if it’s with something metallic. If you have asbestos insulation in your home or place of business, removing it yourself is not just dangerous, it may be illegal. Asbestos is a naturally occurring mineral used widely in construction until 1989 when its toxicity was widely realized and the substance was banned (although safe traces of asbestos were made legal in some products in 1991). Inhaling asbestos can cause serious damage to lung tissue (asbestosis) and even cancer in some cases. Since, asbestos removal can affect surrounding areas and neighbors. There are currently no federal laws against DIY asbestos removal though there may be local laws against your removal of asbestos without at least a permit. Obviously rooftop repairs bring with them the risk of falls. 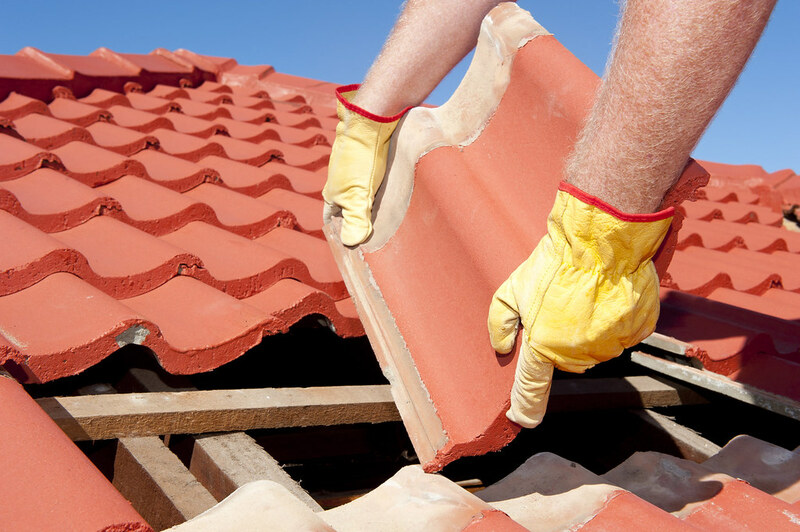 In fact one third of all construction related fatalities are caused by falls from roofs. Even taking the risks out of the equation, if you scale your roof to repair, say, a leak you could end up doing more harm than good. Even if you don’t have a crippling fear of heights, chances are you’ll be nervous or anxious when working at a great height and this can lead us to do rushed or poorly considered work. Applying caulk to a leaky roof may seem ‘good enough’ when you’re working from a rooftop but there’s a good chance that when you climb back down again you’ll find you’ve wasted a lot of caulk and still have a leaky roof. Save yourself a stressful situation in the first place and call a professional. DIY is a noble profession, but don’t assume you can go it alone, or you could face serious risks. If you’re ever in a the slightest doubt, call a professional. You’ll probably save yourself a lot of time and money in the long run.